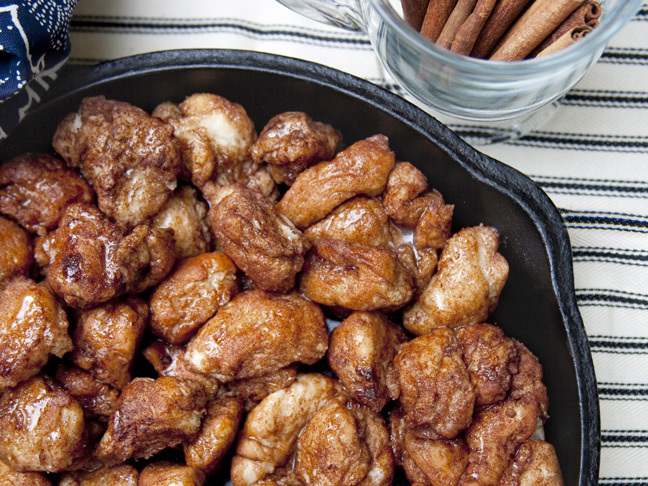 Monkey bread is one of those things that’s always a crowd pleaser. Even if you’ve never had it before, I can almost guarantee that once you try it you will fall in love with how it’s served and eaten. Everyone loves getting in on the pull-apart action because it makes you feel like a kid. I love playing around with different flavors and decided that the exotic spices of Chai tea would be amazing baked into a monkey bread. The warm earthiness from then cardamom, cinnamon, cloves, and nutmeg is the perfect complement to the sweetness of traditional monkey bread. Serve this Chai spiced monkey bread at your next brunch alongside a steaming cup of coffee or tea, and your guests will be in heaven. 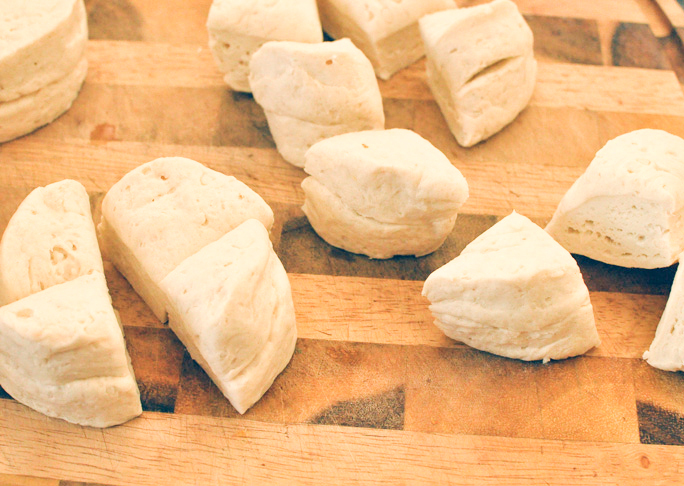 Step 2: Separate each biscuit and cut them into quarters. 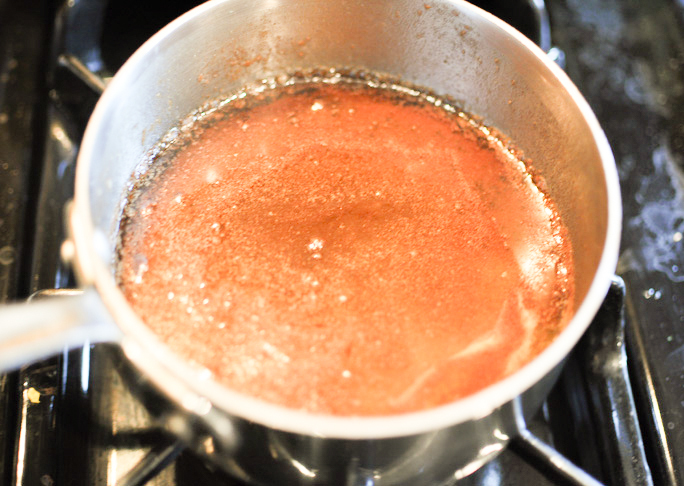 Step 3: In a small saucepan heat butter, brown sugar, and half of the Chai spices until melted. Step 4: Arrange half of the biscuit pieces at the bottom of the prepared springform pan. Pour half of the butter/sugar sauce over the biscuits. Top with remaining biscuits and remaining butter/sugar sauce. Step 5: Place springform pan onto a rimmed baking sheet (to catch any drips and make removing pan from the oven easier). 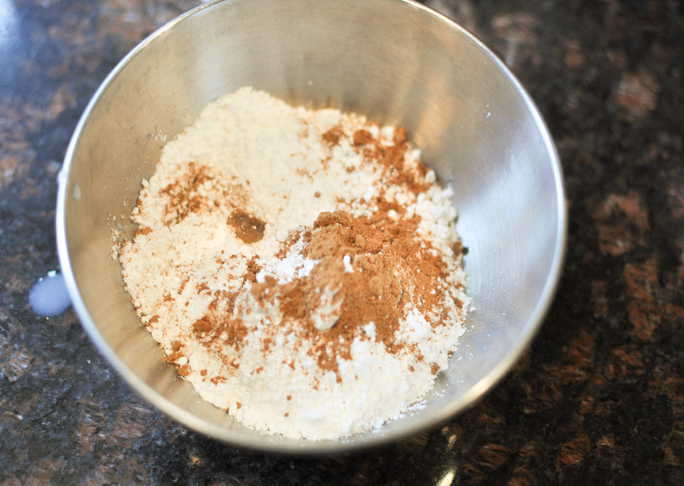 Step 6: While bread is baking, make the sauce: In a small bowl whisk together confectioner's sugar, salt, and remaining half of the Chai spices. 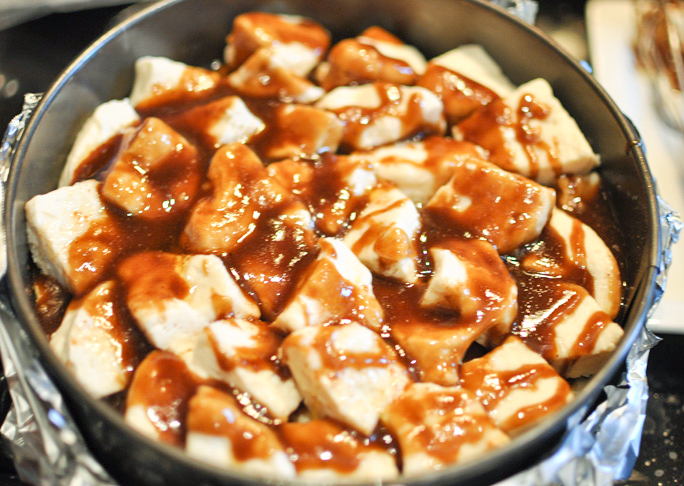 Stir in milk and whisk until it looks like a smooth glaze. Add a tiny bit more milk if necessary, but don't overdo it or your glaze will be too runny. 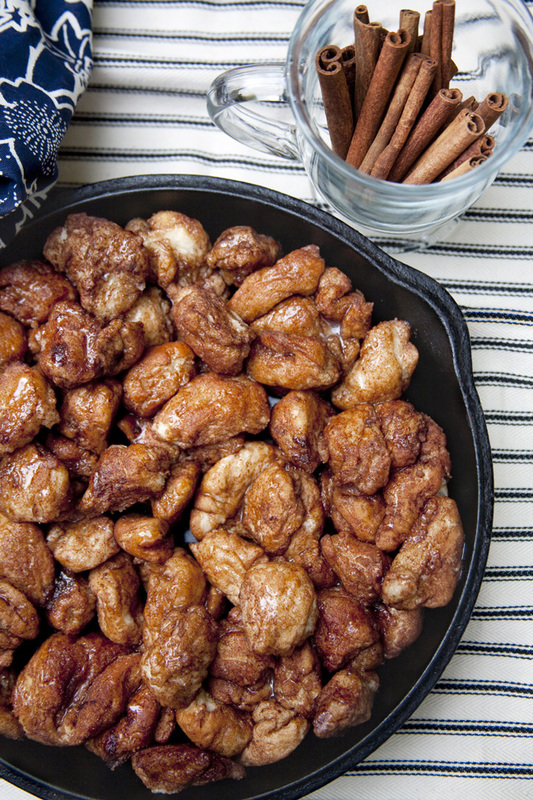 Pour glaze over the top of cooled monkey bread. Run a sharp knife around the edge of the bread and un-mold.